I find this fairly interesting. 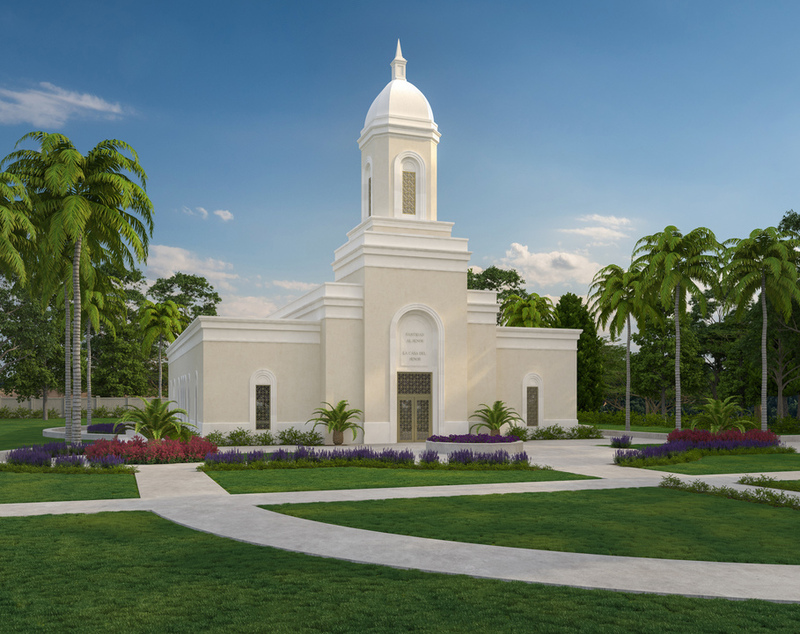 Not necessarily the rendition, but the fact that this temple was announced three months ago and now there’s already a rendition and they will start construction this year. With the exception of the 10,700 square foot design, has there ever been a temple announced with such a quick rendering and construction plan? Within the past 20 years, you’re waiting at least two years for a rendering, and typically more. Well, that is the name of the game where Pres. Nelson is concerned, it feels like. My late wife was Puerto Rican (born & raised there). I am sure that she is ecstatic to know of this as she works on the other side of the veil. Something nice after that devastating hurricane. Por siempre la llamare preciosa. But this temple is about hurricane recovery and rebuilding, probably even jobs and certainly hope. Let's hope it is to be built on high ground.